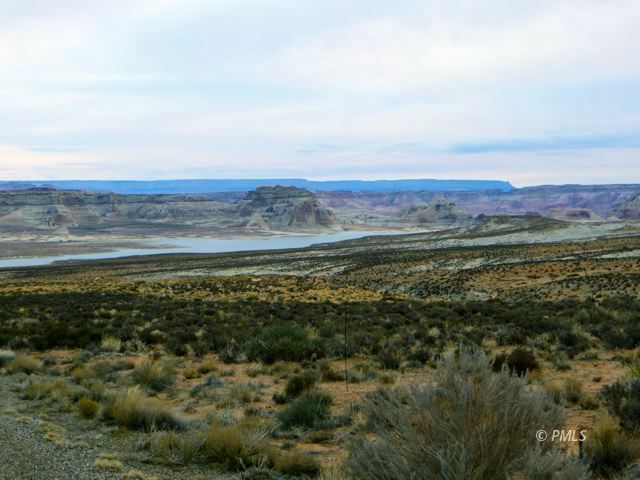 Views of Lake & Slot Canyon - Sometimes a person's dreams change and because of that a beautiful lake view lot which touches Glen Canyon Recreation Area has just come back on the market. Located in Unit 4 of Greenehaven Lake Powell View Properties, this .84 acre lot has unrestricted views of Lake Powell, Navajo Mountain and the Kaiparowits Plateau. You can also see Stateline Slot Canyon from the back of your lot. This is located in a planned Dark Sky community with underground utilities and CC&R's to protect the wonderful views.